We pride ourselves in having the most competitive prcing on all our vehicles. In fact we believe we have the lowest prices in all of British Columbia. We also have a thorough reconditioning precoess and all vehicles are certified and come with a comprehensive one month free warranty. Extended three year warranties are also available. .
Purchasing used cars can be a very smart and cost-effective decision. Here are some reasons why you should buy one. New cars cost more than used ones. When a new car is driven off a lot it immediately loses value. On popular vehicles, the value of a new car can decline up to 30% during the first two years of ownership. You get more value for your money when purchasing a pre-owned vehicle. A big factor in the price of car insurance is the age of the car. 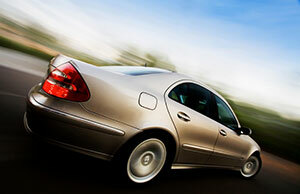 Pre-owned cars typically cost less money to insure. Used cars can be a great purchase. When you buy one you avoid losing immediate value due to depreciation and insurance costs are tend to be lower.